I'm normally a heel or flat kind of gal. I don't really go for that in-between thing. Well, I didn't until now, after I saw these new Zara shoes online. Now I'm obsessed. So many shoes this season have a mid-height heel. Many are completely flat, too and there are still loads of high heels, but the mid-heel is just as common-place now. The mid-block heel was a trend a few seasons ago but its evolved into being a perfectly acceptable everyday heel size. 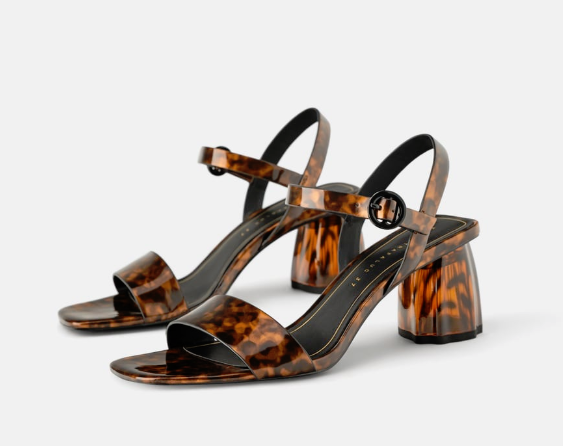 Even the kitten heel is cool again. If these particular shoes came out this time last year, I would not have given them a chance. Now, though, I think I'm going to have to buy them, and I think I'm going to wear them all the time. A gold, low-heel strappy sandal is all you need to fancy up an outfit. I can see myself wearing them with all the all-black outfits I can put together from my mostly all-black wardrobe. But they will look really great with jeans and a cami top, too (the It top of summer as it happens). And you can wear them with the It coat. I'm wondering why they're familiar and I think I might have seen something similar, faded and scuffed, in my mother's wardrobe in the mid-'90s. They're a little bit throwback, alright, but for this summer season, they're cool. And, after a few wears, I presume they'll be fairly comfortable (but bring some plasters in your handbag just in case). 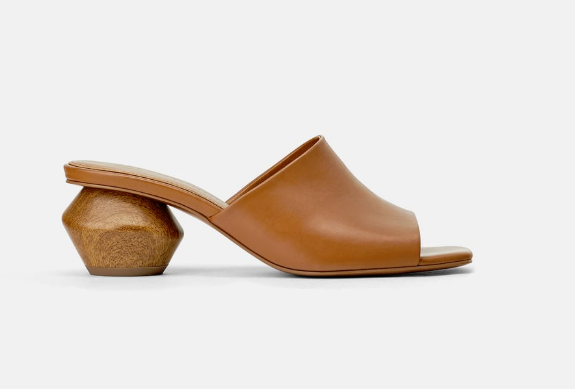 If this particular pair of low-heels doesn't do it for you, though, Zara has a few more on sale now, that may take your fancy. 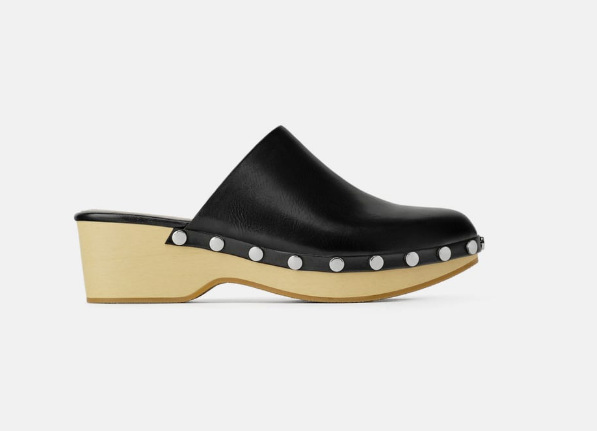 Oh, and by the way, clogs are back.